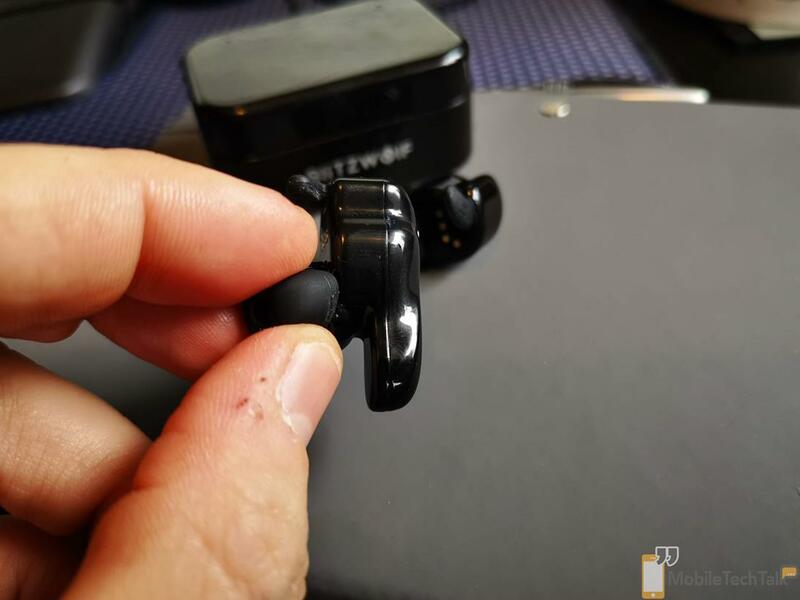 I’ve looked at a fair few truly wireless earbuds now and whilst I’m still nowhere close to being an audiophile, I believe I have a handle on the other aspects of headphones/earbuds, namely the aesthetics and the comfort factor. 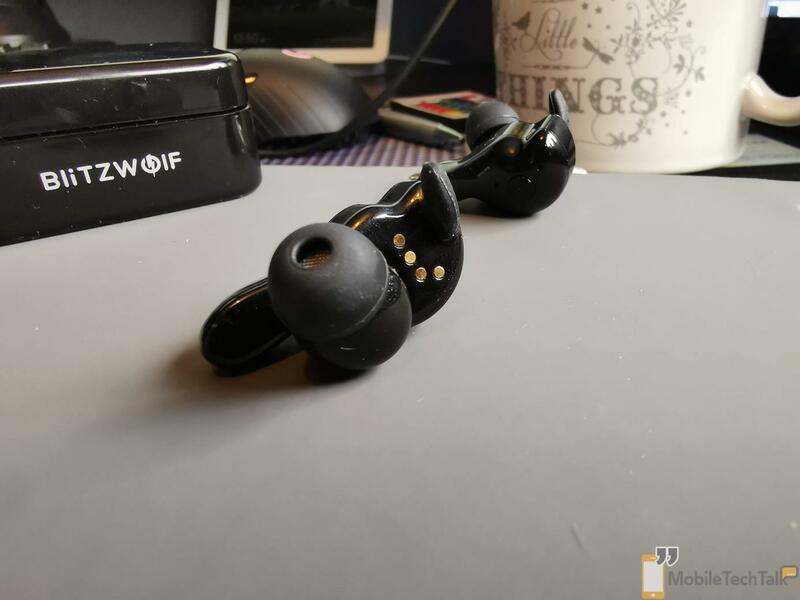 The Blitzwolf BW-FYE1 earbuds aren’t too dissimilar to many I’ve tried, but it has been a minute since I used any, and I’m keen to find out how things have improved over the last 12 months or so. Let’s take a closer look in the full review. 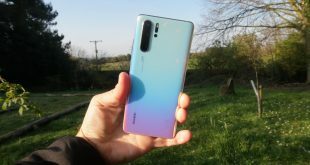 Poor audio performance, sporadic connectivity, battery life woes; these are all statements that have been aimed at the truly wireless products out there by other reviewers and indeed myself. 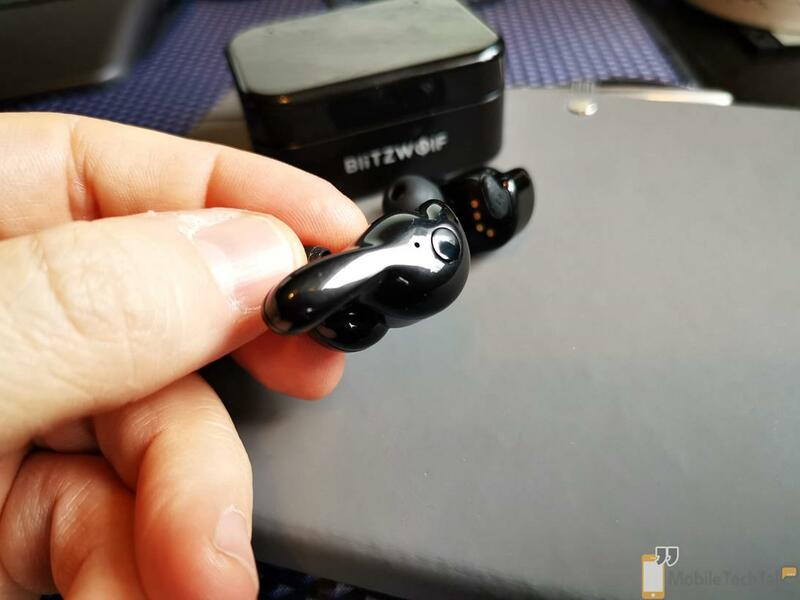 I prefer wired Bluetooth devices to those with independent buds, but I’m a2ware that many many people do not and that’s precisely why I’m trying these out. The first point to note here is that these earbuds are a paltry £37.99 which is pretty decent for this tech now. I recall similar buds by Jabees to be retailing at £79.99 just 18 months ago. For your money, you get the earbuds themselves, a microUSB charging cable (I know…calm down), user and warranty paperwork, as well as some differently sized silicone buds. All of that, as well as a charging box to carry around with you and keep your Blitzwolf BW-FYE1 juiced up. I’m going to start by jumping straight into the deep end here and say that these are the most comfortable truly wireless earbuds I have used to date. Not only do they fit in my ears easily and stay in, thanks in part to the little retention hook, but they stay comfortable for the duration of your listening session. If you’#ve read any of my other reviews of similar products you’ll know that my ears are either extremely sensitive or just plain weird and often have comfort issues. None here thankfully. So, whilst I sit and stay pain-free with these on, can I actually enjoy any quality audio? 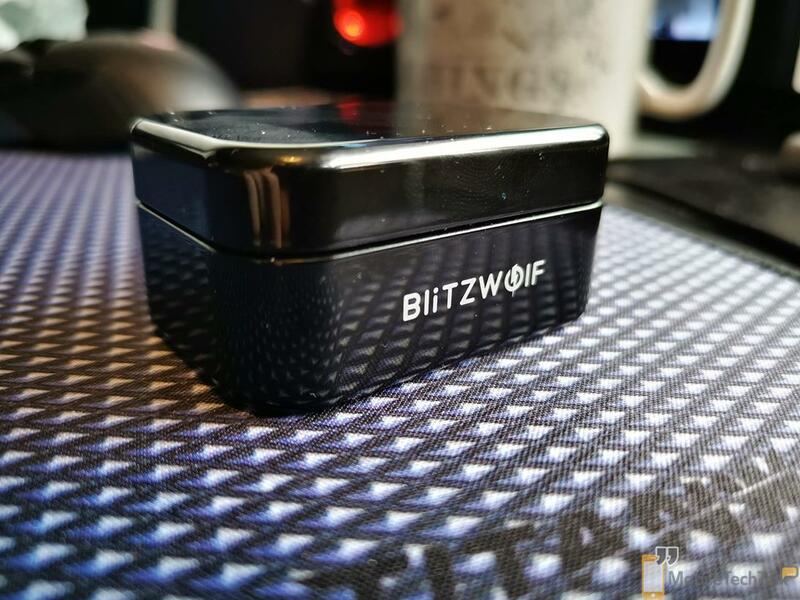 Well, I’ll point out first that whilst the Bluetooth 5.0 inclusion should, in theory, allow for a bit more throughput for quality audio codec use, the Blitzwolf BW-FYE1 utilises the SBC code, and nothing more than that. Therefore we’re likely to find these deliver a little bit lower quality than others might achieve. That said, I found myself fully enjoying the songs I played during my sessions when using these buds. The low end on these are pitched just right for me. Rumbling bass which doesn’t overpower the song in Hip-Hop tracks, and a more subtle pump when listening to other genres. This allows the mids and highs to bleeds through. The mids can get a little muddy and indistinguishable at some points though. They get plenty loud too whilst maintaining most of the original clarity. As I mentioned before, these utilise Bluetooth 5.0 which, amongst many improvements, increases the range of operation by four times theoretically. During my use I certainly noticed I could walk out of my office into my conservatory to grab something without having to worry about a few doors, and floor and 10 metres between us causing havoc with my playback so that’s a plus I didn’t find with Bluetooth 4.x buds previously which seemed to roll over and die pretty easily. These buds also seemed to keep connected to each other much easier than any other truly wireless earbuds I’ve used. Speaking of, one of the issues with devices such as this for me has been battery life. With a slated playback time of up to 3 hours, I was still likely to be critical, but given I managed to hit 3 hours myself within a margin of error over the course of this review, and the fact these things are tiny, I have to give it a pass. I’m reviewing the product in front of me and not the general product family. Was it the latter I’d still be asking who wants to be charging their device after each and every use, but that’s another article. These do well battery wise, and when they do die, you can throw them in the included charging cradle to get them juiced up fully in just an hour or so. I’m not a big fan of the charging stations as they seem to just keep trickle charging once the buds have been fully charged which means when you come to actually want to use the cradle fully, there’s usually less juice than you expected. I couldn’t tell you whether these stopped charging or not as I often charged overnight, but I will say that when I needed a charge the cradle delivered. That’s an improvement. Now, on to some of the areas I didn’t like as much. There is only one button on these earbuds, and that’s understandable due to the lilliputian nature of them. The button controls play/pause of a track, and can utilise a long press on the left or the right earbud to skip to the previous or next song respectively. What is unforgivable for me however is that the button is on the outside of the bud, meaning any press simply applies pressure to your ear canal. This cannot be a good thing and as the buttons take a little more force to actuate than I’d like, you end up feeling like you’re trying to force the bud into your brain! By far a better design (space permitting to be fair) would have been to have the button on the topside of the unit meaning you could stabilise the bud by placing your thumb or another finger under the unit when actuating. Furthermore, taking calls on this unit is a strange affair. Granted this won’t happen all too much in 2019, but the quality seems very muddy. This could be a lot better and is on some of the other units I’ve tested. Wrapping up though, what you get with the Blitzwolf BW-FYE1, aside from a snazzy name (!) 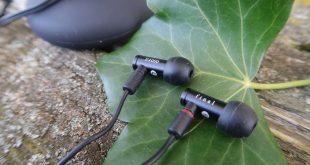 is a truly good wireless earbud solution, providing good audio, good connectivity, portability, and comfort. The last part is perhaps the most surprising to me given my history with this type of product. 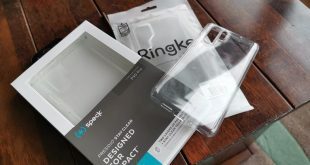 What you also get is an IPX4 sweatproof rating so these are perfect for the gym (which is mostly where I tested them). There are a few drawbacks such as the limited audio codec in tow and the poor button position choice, but for the money here you’re getting a compelling offering. One thing is for sure, you get your money’s worth here which again, is more than I can say for the state of this particular market segment a year or so ago. You won’t be disappointed by these.